Desserts Strawberry Shortcake, Fudge Brownies, Triple Ginger Teff, Gingerbread, Lemon Tart. 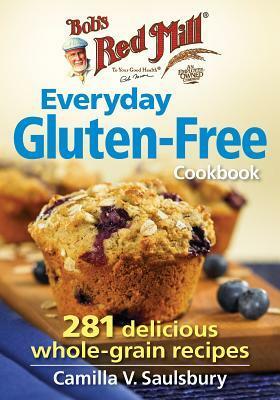 A delicious new Gluten Free cookbook from one of my favorite companies, Bob’s Red Mill. The cookbook opens with a section on Gluten Free Grains. It talks about what grains are naturally gluten free, how to cook them, and what to do with them. Then comes a section on the everyday gluten free pantry. This is a chapter on things to have on hand to cook gluten free on a daily basis. It’s a great resource. Then comes the recipes. 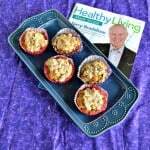 There is everything from breakfast recipes, to soups and stews, to meatless main dishes, and desserts. Anything you would want to make is stuffed into this wonderful gluten free cookbook. While I’m not gluten free, I often try to cook and bake gluten free because we have friends who are gluten free. It also helps our joints to eat gluten free several times a week. I found some really great recipes in this book using gluten free grains that I normally wouldn’t use. A few of the recipes I marked to try are the Carrot Cake Baked Amaranth, Ancient Grains Granola, Garden vegetable Quinoa Chili, Thai Grilled Steak and Quinoa Bowls, and Olive Oil Cake with Cherries and Dark Chocolate Chunks. Don’t those recipes sound amazing? I liked that most of the recipes were made with ingredients that are easy to find at my local grocery store. Many recipes don’t take too long to prepare either. 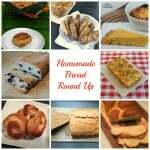 I found the baked goods and bread recipes to have a wonderful mixture of gluten free flours that make the texture fantastic. I give this cookbook 4 1/2 out of 5 stars. 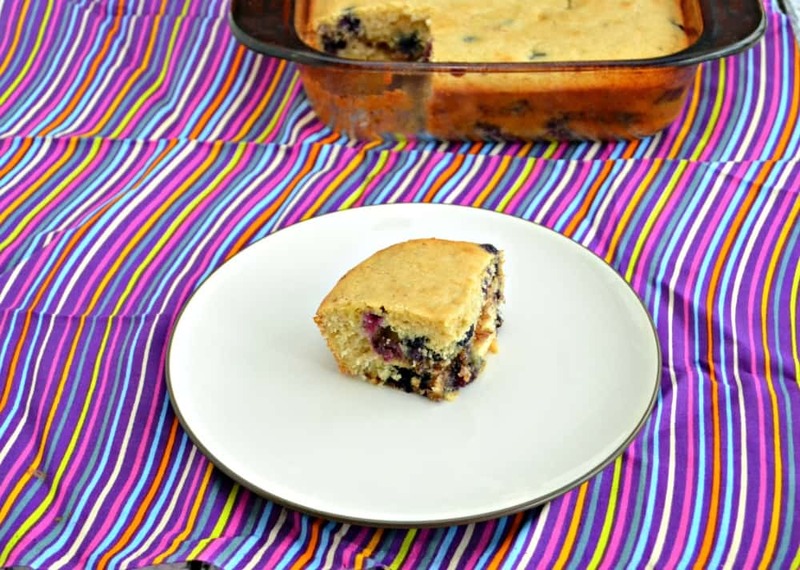 The first recipe I decided to try was the Blueberry Hazelnut Coffee Cake. I had the flour and starch I needed at home plus I had just bought a big container of blueberries. I thought it would be something great I could take to work that everyone, gluten free or not, could enjoy. The coffee cake looks like traditional coffee cake and has a wonderful spiced hazelnut layer in the middle. It bakes up to a golden brown and looks delicious. The crumb is just about perfect. I thought it tasted great and my husband, who isn’t usually fond of gluten free baked goods, agreed. 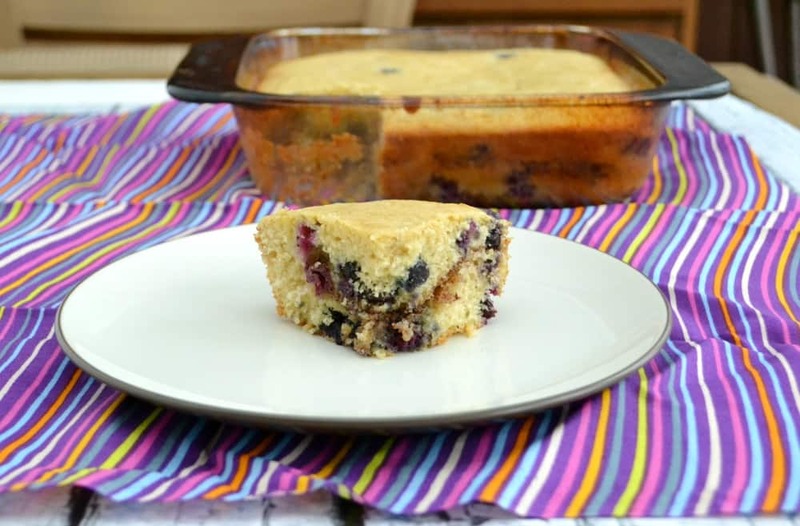 The cake itself is delicate and studded with juicy blueberries. 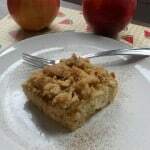 The hazelnut layer adds flavor and some spice to the coffee cake. It’s great with a cup of coffee in the morning. I took the cake into work and it was gobbled up before lunch. I knew it was a winner when several non-gluten free people stopped me to ask what flour was in it and how it was gluten free. Anytime people can’t tell a recipe is gluten free means it’s good. 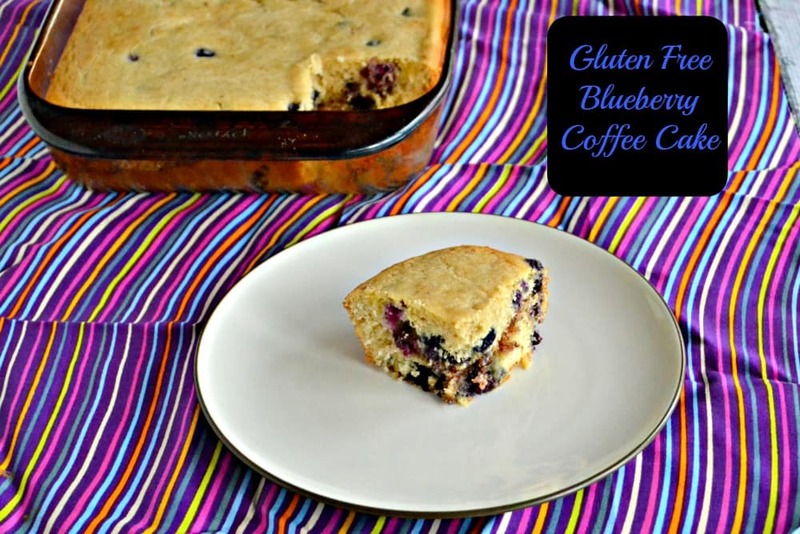 Gluten free coffee cake studded with juicy blueberries with a spiced hazelnut layer in the middle. 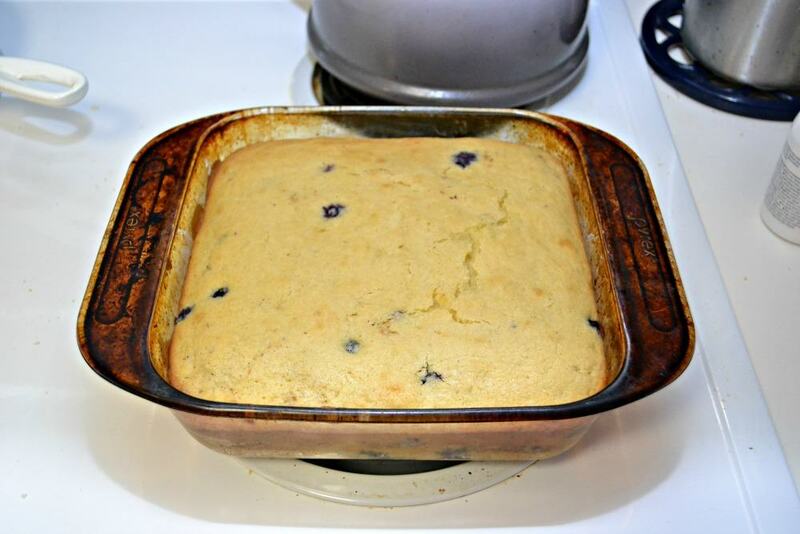 Spray a 9 inch square baking pan with nonstick cooking spray. For the filling: In a small bowl, combine hazelnuts, brown sugar, and cinnamon. For the cake: In a large bowl, whisk together amaranth flour, potato starch, baking powder, baking soda, and salt. In a medium bow, whisk together sugar, eggs, butter and vanilla until well blended. Whisk in buttermilk until blended. Add the egg mixture to the flour mixture and stir until just blended. Gently fold in blueberries. Spread half the batter evenly in prepared pan and sprinkle with filling. Dollop the remaining batter on top of the filling (it need not cover the filling completely). Bake in preheated oven for 28-33 minutes or until a toothpick inserted in the center comes out clean. Let cool completely in pan on a wire rack. 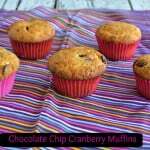 Recipe from Bob's Red Mill Everyday Gluten-Free Cookbook by Camilla V. Saulsbury, Robert Rose Inc., 2015. Thanks for sharing it with the Say G’day party! Pinned and hope to see you on Saturday!